Compared to me, my husband is a fledgling chick born only recently to living with a diagnosed mental illness. He’s spent a fraction of the time I have learning about his disease, trying medications, and experimenting with various coping skills. I’ve been doing this for years, well over a decade now. As a teenager I was diagnosed with depression and anxiety then medicated somewhat heavily. I instantly hated the medication, but I did well in therapy. How I felt after a session was positive if not the actual going, and I ultimately knew that I was getting better. I learned how to do life according to my needs. Nowadays, I use the phrase, “I don’t feel good” to indicate my bad days. 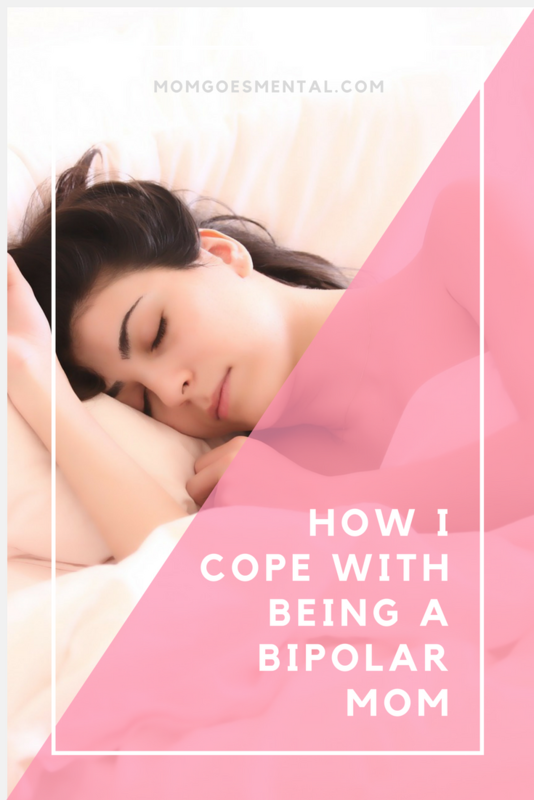 After my second child was born, I was diagnosed bipolar with hypomania. My highs are never the insane highs you read about on the scare-your-pants-off-now-you’re-going-to-die-of-cancer-websites. While my mood swings are characteristically fast and dramatic, I spend most of my time on the low end of the spectrum. When we watched Inside Out with the kids, I joked that Sadness is the pilot of my emotional brain. In our house, “I don’t feel good” means I’m having a hard time getting out of bed. It means we’re ordering pizza tonight because I can’t cook dinner. The kids will probably have access to more screen time than normal, and I’ll take 3 naps today. It also means that I might have a short fuse, find myself anxious and overwhelmed, or be hyper-aggressive for absolutely no reason. I’m highly aware of my moods, so I will be very careful around the kids. Days when I don’t feel good mean we talk about how I’m feeling. I tell my kids that depression affects people physically and mentally, even if it’s invisible. It means today is a 75% kind of day, tomorrow might be 50%, and the next day might be 80%. Hopefully, I’ll be back at 100% soon. Until then, I tell my husband and my kids that mommy doesn’t feel good. I may spend more time alone, but I’ll also be the first to want to snuggle and watch movies that make me cry. So they don’t notice I’m crying anyway. Life goes on as normal as I can make it for them. At the end of the day, all I can do is make sure they’re cared for, fed, clean, and loved. It’s okay if I don’t feel good for a few days. I hope that having these conversations with my kids about mental illness helps them grow to be more loving, empathetic adults. For now, I hope that it means they’ll always remember one important thing. The good always comes back in the end.